The 3P TC Series Tank Controller maintains and monitors the level of water in a storage tank. A precise level sensing probe detects the exact height of water present in the tank. 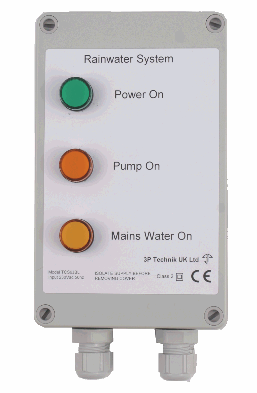 The Controller then uses any of four mains voltage outputs which can be connected to pumps, solenoids, motorised valves or any other type of filling or draining device to maintain the level between defined limits.